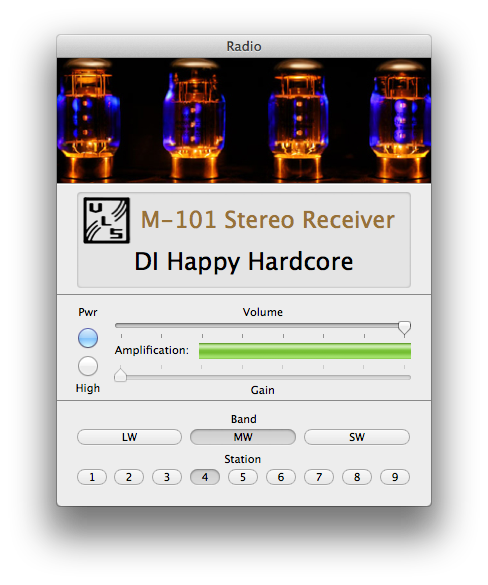 A minimalist Mac radio app. Attach to menubar. Seamless integration. Click the menu bar icon to show or hide the tuner, or drag it away from the menu bar to detach it. You can drag it back to attach it. The UI was designed inspired by an old AM radio, that is why clicking switches and changing stations sounds totally like doing so on one of those. 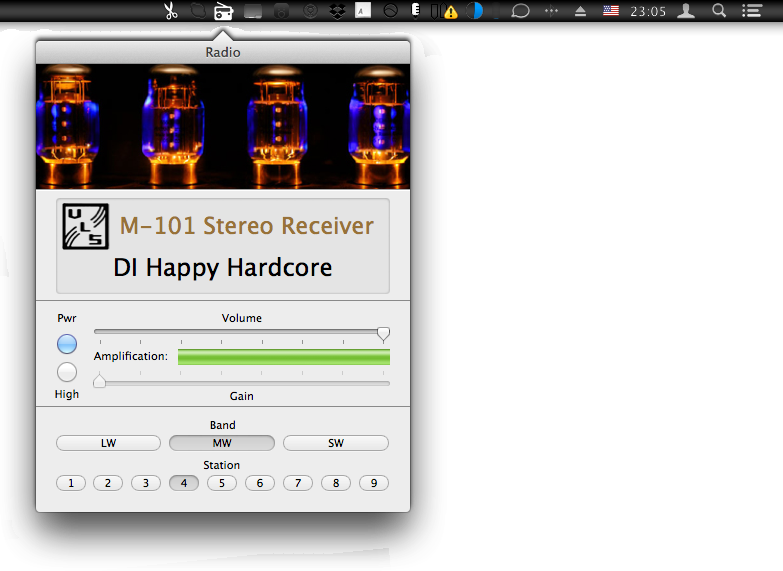 Yet it's optimized to achieve the best sound quality you could ever get from an internet radio. Media key support. No distractions. Option & Play/Pause toggles the tuner power. Next and Previous switch channels. And you get a notification of what channel did you just tune to. Easy-to-use interface. Made with simplicity in mind. Click a channel button to tune in. If there is no station assigned to it, you will be asked to assign it. Once you're listening to a station, click it's button again to edit it's name or URL.